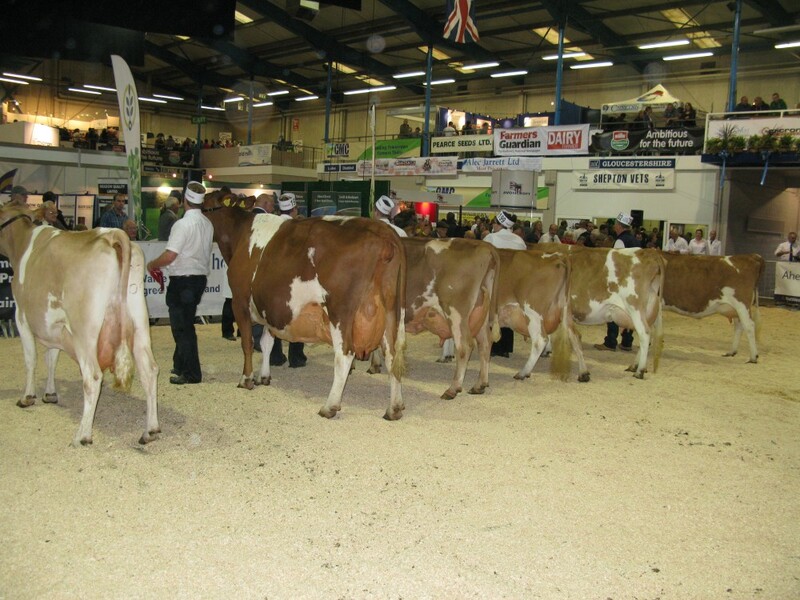 This year’s South West Dairy Show was held on Wednesday October 2nd at Shepton Mallet. 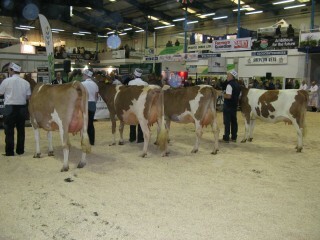 Ten exhibitors brought 25 adult cattle and eight calves to be judged. 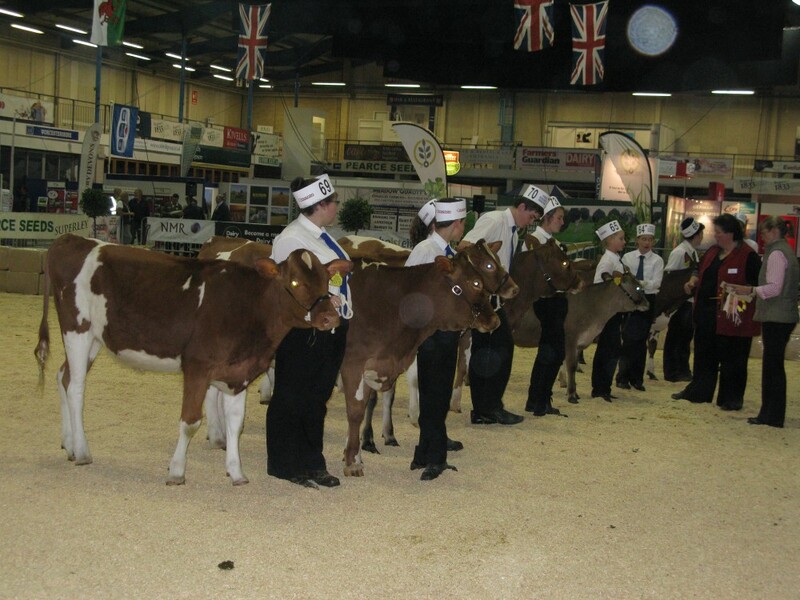 In the calf classes on Tuesday evening, our young breeders were out in force in the showmanship and calf classes. 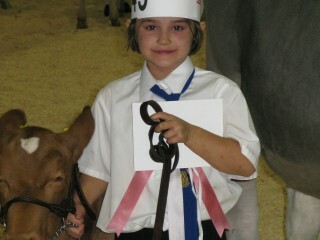 Notable performances came from 6 year old Izzy Philips who held her own against strong opposition in the handling and showing class with her 3 and half month old calf, Hinton Nancy. 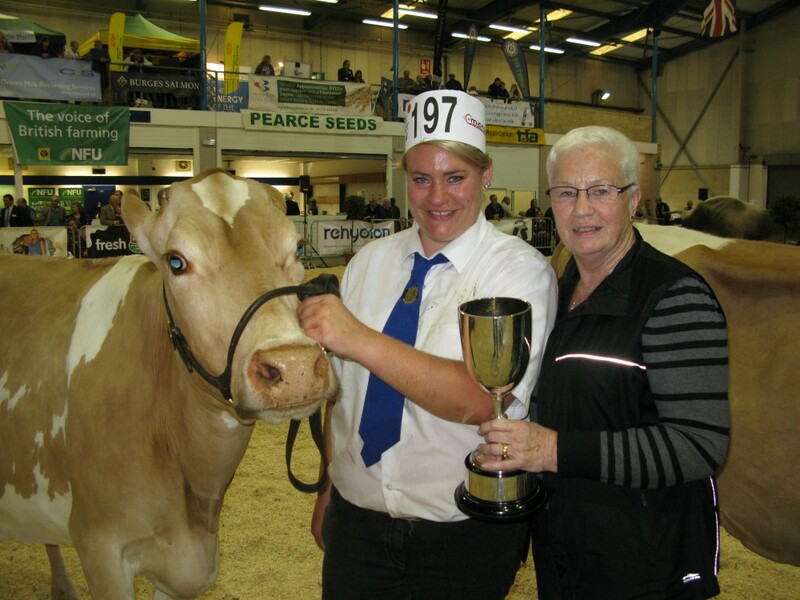 Making a return the Show after four years was Laura Sales with the team from Bickfield. Her 8 month old calf, Bickfield Linda 68 by Andante, won her class and was awarded Reserve Coloured Breed Champion. Other calves in the competition came from Brian and Sheila Adams, Sir Howard Guinness and Caroline Greenslade. Well done to all exhibitors and their calf handlers for supporting the youngstock classes at this years show. 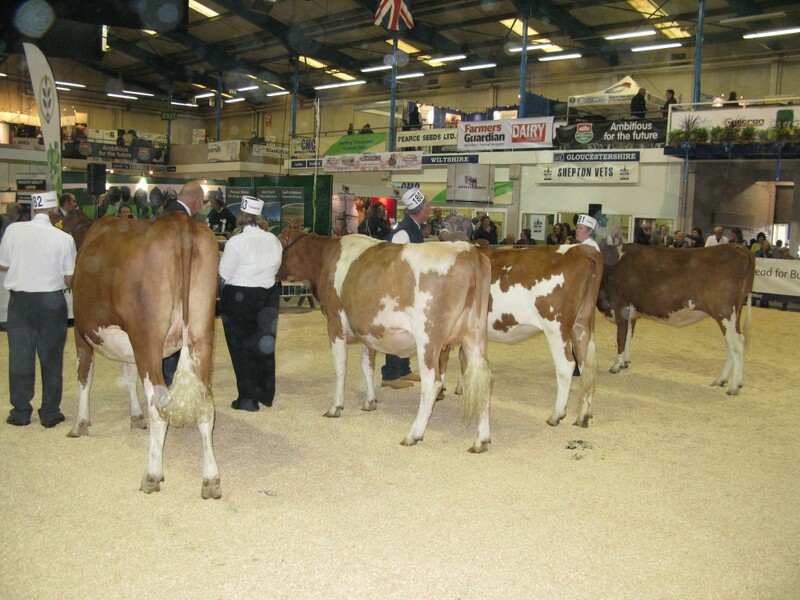 The main cattle classes on the Wednesday Morning were judged by Phillip Cox from Lifton in Devon. 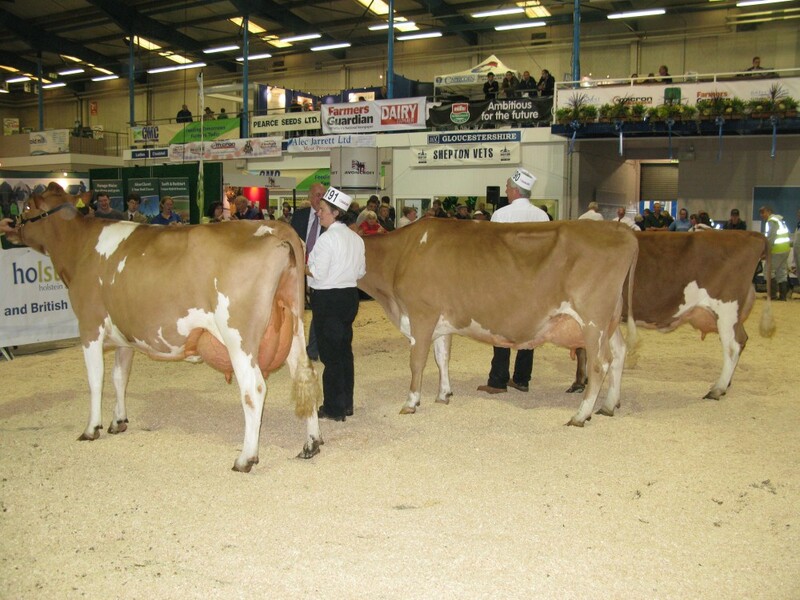 The quality of cattle on show in every class during the day was of a particularly high standard, culminating in a line up for the Championship, of the best class winners seen at this show for a long time, any of which could have been made Champion. 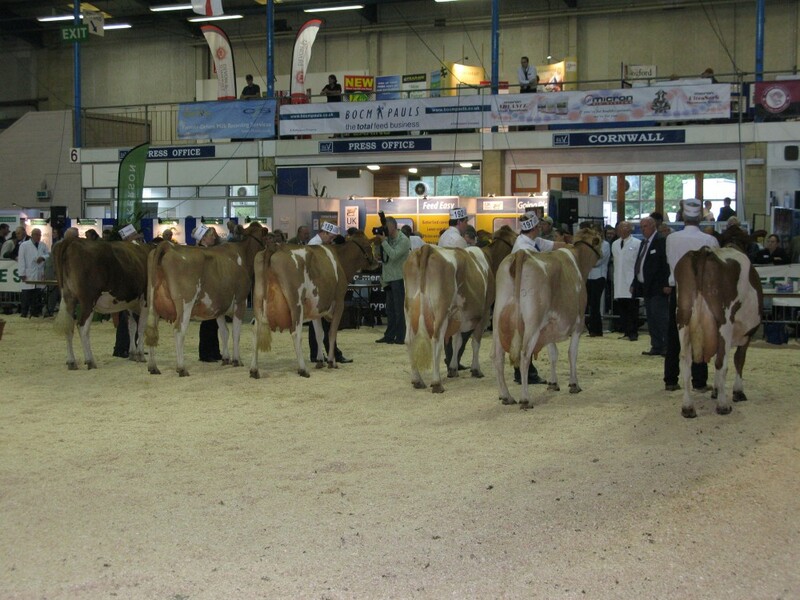 I should like to thank the Show Society for inviting me to judge the Guernsey Classes and commend all the competitors for the standard of cattle on display here today. Cow or heifer in calf due to calve before 14th Feb 2104. 1. Durbin. 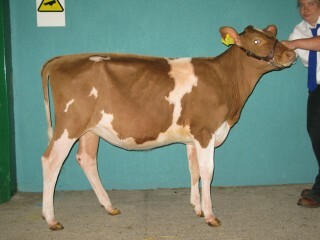 Bickfield Linda 35 by June’s Royal Oak. 2. Parfitt. Graylands Hugette 21st by Four Winds Royal Delta. 3. Greenslade. Greensfield Hero Star by G. Jons Hero. My first class for the day was for Dry Cows. First was Bickfield Linda 35th by June’s Oak who had good depth of body and walked well on good legs and feet. 2nd was Graylands Hugette 21st by Delta who displayed a good topline and excellent locomotion and a close 3rd was Greensfield Hero Star. 3. Parfitt. Graylands Elissa 11 by Andante. 4. Carpenter. Fairfield Maria by Aber Silver Flash. 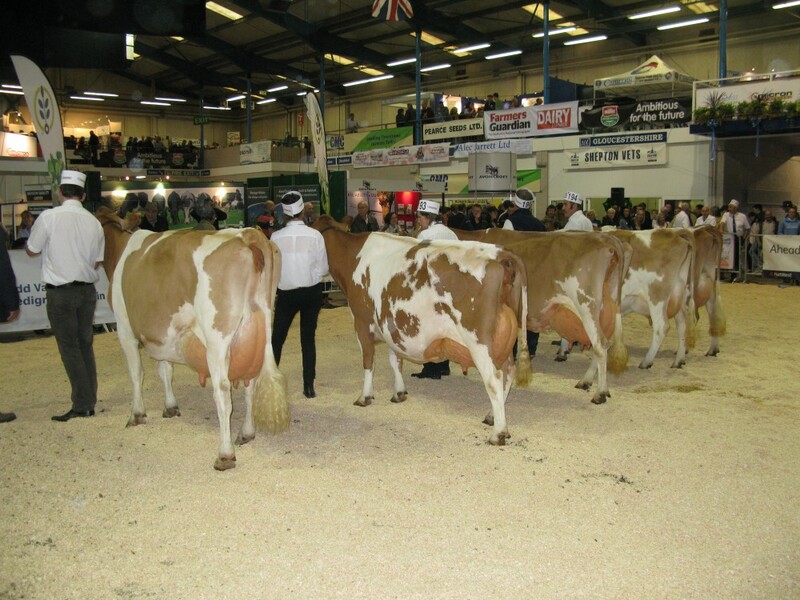 The next Class was for in calf heifers and my winner was the Addington Funds’ Hamps Valley Annabelle 7th by Ghengis who showed strength, depth and dairy character in abundance. 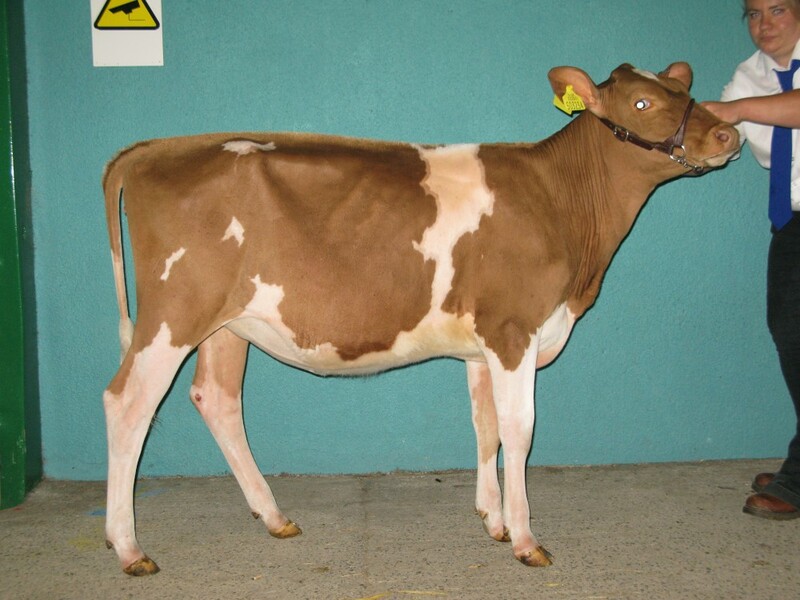 In second place was Brian and Sheila Adams’ Mint daughter, Wiltown Claudia who paraded well and showed plenty of dairyness. In 3rd place was the Parfitt Family’s Graylands Elissa 11, who was particularly good over the loin and rump. 1. Warren. Tredinney Aarons Flo 6. 2. Greenslade. Greensfield Iceberg June’s Star by G. Stinky Iceburg. 3. Durbin. Bickfield Liz 16 by Mint. 4. Parfitt. Graylands Meadowsweet 69 by Andante. 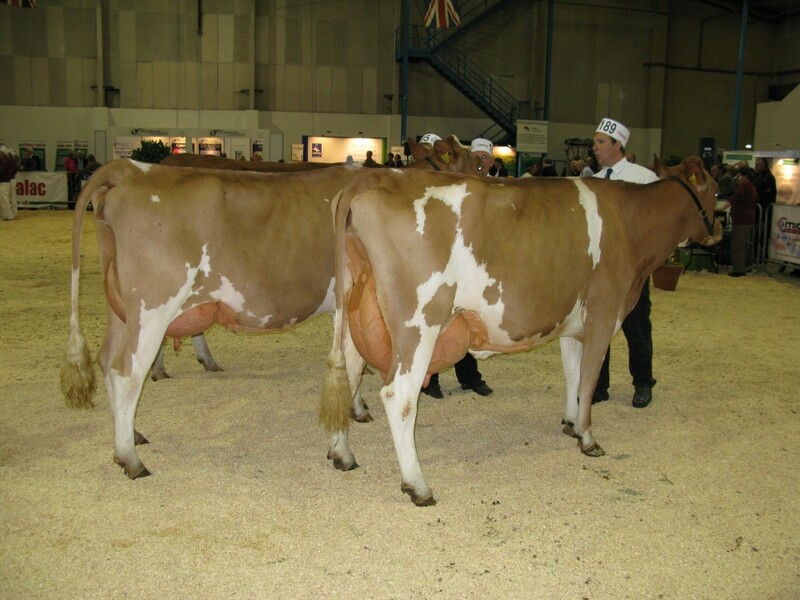 Class 20 was for Heifer in milk and this was won by the Warren Family’s Tredinney Aaron’s Flo 6th, a superb heifer, her dairyness and well attached udder giving her the advantage over Greensfield June’s Star. In turn her excellent topline put her above Bickfield Liz 16th by Mint, who paraded herself well. 1. Warren. Tredinney Astronomers Tansy 8. 2. Carpenter. Trevider Hercules Lynnette. 3. Durbin. Bickfield Titiana 11 by B. Luxury Ambionic. 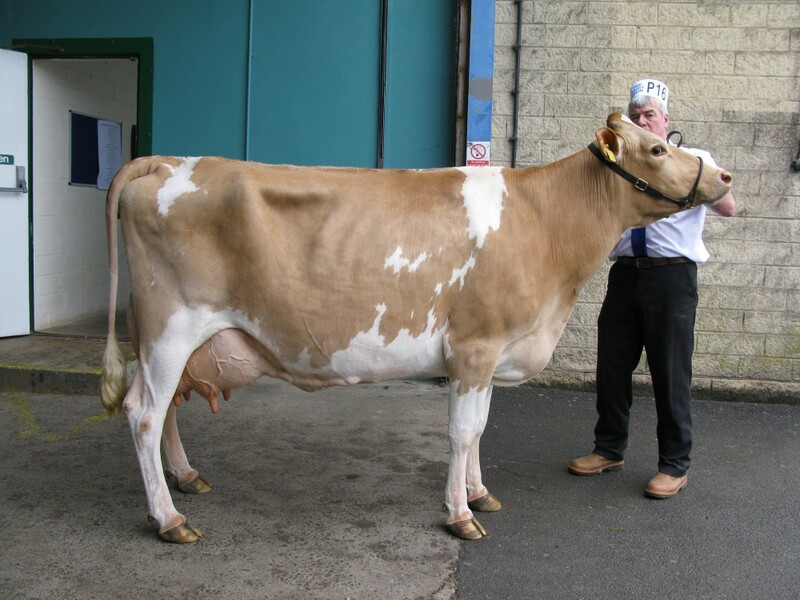 The next class was for Junior Cow in milk and this was won by Tredinney Astronomer’s Tansy who displayed a lovely depth of body carrying a well developed udder. 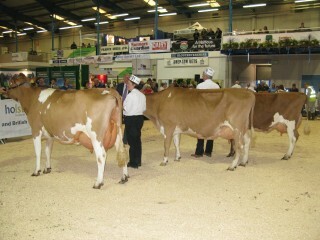 This gave her the advantage over Trevider Hercules Lynette shown by Chris and Louise Carpenter in their inaugural Dairy Show. 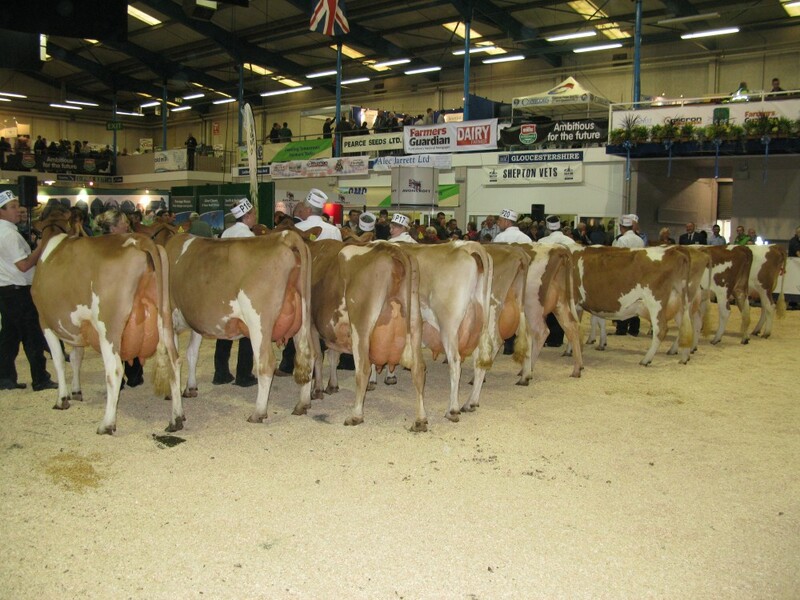 She displayed good chest width and excellent teat placement, giving her the advantage over Bickfield Titiana 11th in 3rd place. 1. Dean. Clay Hill Dot 4 by Silverado. 2. Warren. Tredinney Prince Gabrielle 3. 3. Greenslade. Greensfield Lamars Phyllis. 4. Parfitt. Graylands Elissa 7th by G. Meadowsweets McCoy. 5. Parfitt. Graylands Elissa 9 by G. Meadowsweets McCoy. 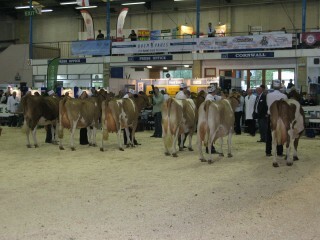 The next class was Intermediate Cow in milk which was dominated by Clay Hill Dot 4th by Silverado. 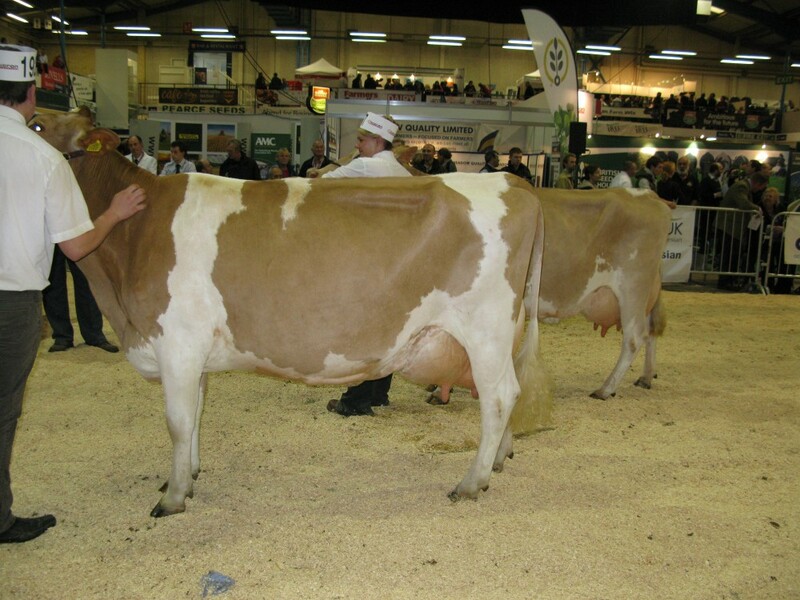 This superb cow was easy to place first with her style and class over Tredinney Prince Gabreille 3rd, who in turn, displayed power and an excellent rear udder attachment over my third cow. 1. Durbin. Bickfield Phyllis 18 by June’s Royal Oak. 2. Warren. Tredinney Yogi’s Gabreille 2. 3. Durbin Bickfield Vennessa 37 by Icy Chiller. 4. Moody. Latifa Whinwhistle Mary by Shalford Pacific. 5. Guinness. White Ladies Marius Graceful 7 by Cresthill Magic Lucky. 6. Parfitt. Graylands Meadowsweet 67 by G. Samantha’s Simon. Class 23 for Senior Cow was the most difficult of the day to judge and I put Bickfield Phyllis 18th in first place. Her sharpness, freshness and balance throughout, pushed Tredinney Yogi’s Gabreille 2nd into second place displaying her usual tremendous depth of body and overall class. 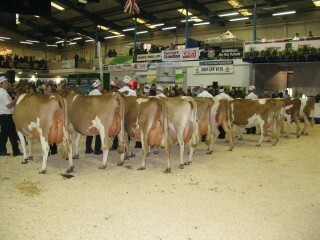 In third place was Bickfield Venessa 37 also displaying great dairyness. Stephanie and Nicola Dean. Clay Hill Dot 4. Mr. & Mrs M.C. Durbin. Bickfield Phyllis 18. The Championship went to Clay Hill Dot 4 for her overall balance and dairyness throughout and in particular the standard of her udder attachments and teat quality. In Reserve, I placed Bickfield Phyllis 18th, another excellent cow but at this moment lacking the maturity of my Champion. 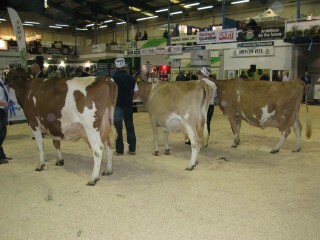 1st in Pairs class and winning Heifer in Milk and Junior Cow from Tredinney. Champion Guernsey, Clay Hill Dot 4th. Reserve Champion, Bickfield Phylis 18. Winner of the Peter Down Points Trophy was The Durbin Family. Peter’s sister, Jan Chivers, presents the Trophy to Laura Sales her Grand Daughter and Peter’s Great Niece. 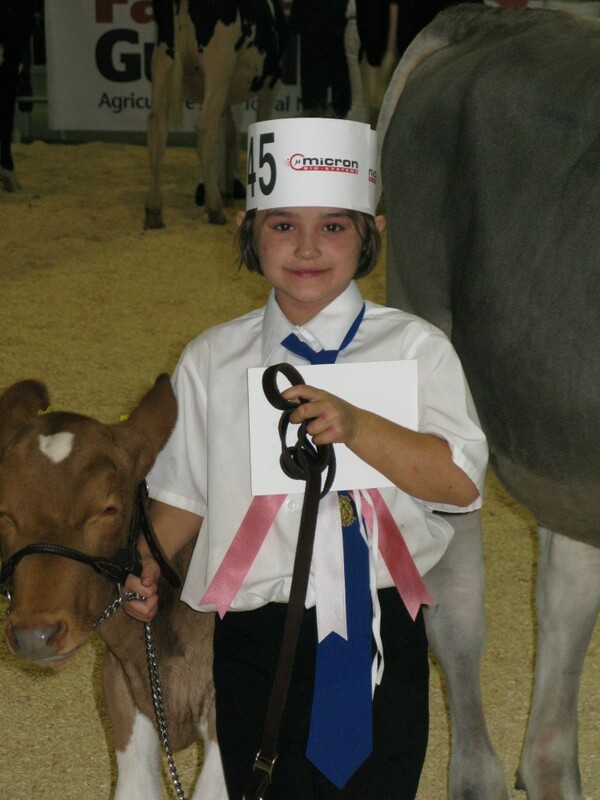 The reserve champion cow is a great-grand daughter of Thicket Mead Phyllis 20 bred by Peter.